The Institute of Banking Personnel Selection i.e. IBPS announced 8822 vacancies in various Public Sector Banks (PSBs) for the post of Probationary Officer/ Management Trainee. The candidates need to qualify in IBPS CWE PO/ MT VI 2016 Recruitment Examination in order to pursue a career as a Probationary Officer in any leading PSB. The objective of this article is to inform both new as well as old IBPS aspirants about the recruitment examination – beginning right from IBPS PO Eligibility Criteria and Selection Process and leading towards preparation tips and exam strategy to crack IBPS PO Prelims & Mains Examination. If you are appearing for IBPS PO Prelims next month, we recommend you to read this article thoroughly and understand what IBPS PO CWE PO/ MT VI Recruitment Examination is all about. 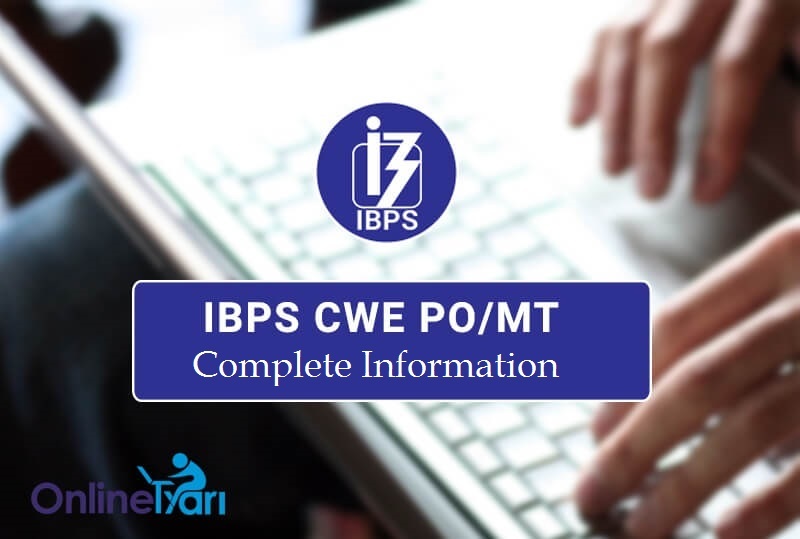 Since the online application process for IBPS CWE PO/ MT VI Recruitment Examination has been concluded for this year, here is all the basic information pertaining to the legitimacy of the IBPS PO Application Form 2016. An IBPS aspirant needs to be informed about the various dynamics related to the recruitment examination. The final date for IBPS PO Tier-III i.e. Interview will be announced later on. Till now, the information provided regarding IBPS PO 2016 Recruitment is quite basic and if you wish to know in detail about it, you can read our previous blog on IBPS PO Online Recruitment 2016 from the link below. Similar to most bank exams, the first written examination i.e. IBPS PO Preliminary Examination comprises of 3 sections – Reasoning Ability, English Language and Quantitative Aptitude. This 100 mark paper comprising of 100 questions comprises of a mixture of challenging and doable questions, all of which has to be done in 1 Hour (60 Minutes). The shortlisted candidates in IBPS PO Prelims 2016 will be called for the next round i.e. IBPS PO Mains. This year, a new exam pattern for IBPS PO Mains Examination was introduced. The pattern of Mains Examination will also be Objective MCQ based with 5 sections in total – Reasoning, English, Quantitative Aptitude, General Awareness and Computer Knowledge. Now, talking about the major exam pattern change in IBPS PO Mains, each section will be separately timed for the written examination. So, the candidates need to attempt as per time allotted to each section. There will be 200 questions in total and each will carry 1 mark. IBPS candidates need to complete each section in the defined time slots. For IBPS PO Mains 2016, there will be both sectional and overall cut-off and the shortlisted candidates will be called for the final round i.e. Group Discussion/ Interview. The final merit list of selected candidates will be based on scores achieved in IBPS PO Mains and GD/ Interview. Now, the question of the hour is – “How to crack IBPS PO Examination?“. Lets face it – IBPS PO is one of the most popular and competitive bank recruitment examination of the country. Every year, a large proportion of working as well as student population submit the IBPS CWE PO/ MT Online Application Form and appear for the written examination. Yet, there are only limited number of vacancies. This year, the total number of vacancies for the post of Probationary Officer is 8822. So, you need to be an aspirant who is moving ahead with a plan. So, we expect a number of questions which must be annoying you all. How to start preparing for IBPS PO 2016 Preliminary Examination? How can I score well in each section of IBPS PO 2016? Was the recruitment examination for IBPS PO last year extremely tough or easy? To assist IBPS candidates, we previously created section-wise preparation articles on how to crack each section of IBPS PO Recruitment Examination 2016. These articles have been written solely to cater to your needs of meticulous section-wise IBPS PO exam preparation. Make sure give them a thorough read. Another thing which is essential to the preparation cycle is understanding the level of previous year exam paper. Here, we are providing IBPS PO Exam Analysis 2015, which is previous years exam review. For candidates who are appearing for the first time, it is a must read since this will introduce the newbies to the recruitment examination. Most candidates rated the IBPS PO 2015 Prelims Examination as Moderate. Based on the difficulty level of the examination, number of aspirants and total vacancies, the IBPS PO Prelims Cutoff 2015 was as follows. All the candidates who managed to secure above the cut-off were eligible to appear for the mains. To further improve your chances of qualifying in IBPS PO Mains Examination, make sure you’ve registered for IBPS PO Prelims All India Test 2016. The Online Mock Test will be held on 9 October and you can select a time slot as per your preference. In our last section, we would like to explain all IBPS candidates what the final objective of their struggle is all about. Not every candidate will be fully updated with the current information related to IBPS PO job profile, salary, perks and career prospects. So, to help understand this better, read the article mentioned below and understand what sort of lifestyle and duties you will have once you have become a Probationary Officer. We conclude our article here and hope all the readers now have good knowledge pertaining to IBPS CWE PO/ MT Recruitment 2016. Stay connected for more information regarding IBPS PO Recruitment 2016. To excel in Bank Examinations, download the Best IBPS PO Exam Preparation App for free.